The Advanced Precision Kill Weapon System II (APKWS II) is ready to be deployed on the U.S. Marine Corps (USMC) F/A-18 Hornets. 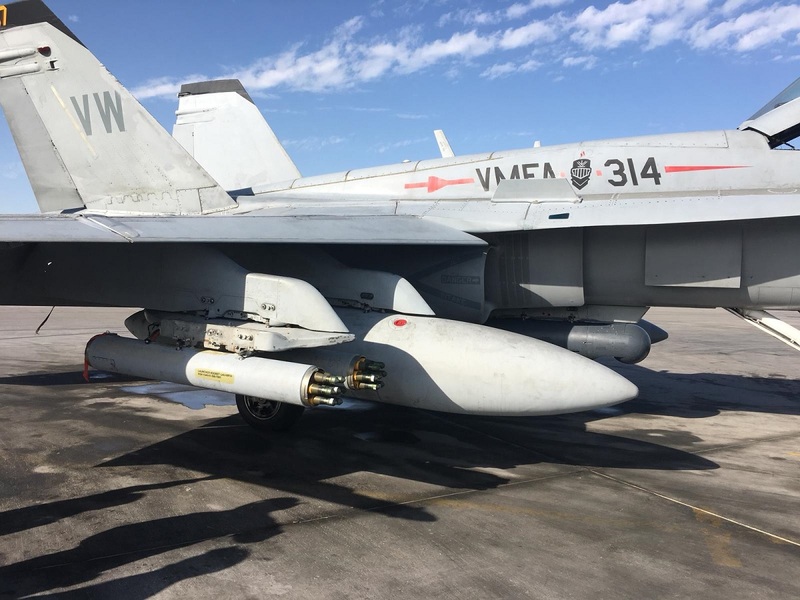 As reported by Jane’s, in a Feb. 27 Twitter post, the Naval Air Systems Command (NAVAIR) released a photograph of APKWS loaded onto a F/A-18 aircraft belonging to VMFA-314. The image, taken the previous week, showed APKWS loaded into twin seven-cell LAU-68 F/A pods “to prepare for the weapon’s initial deployment with the aircraft”. Previously, the AV-8B was the only fast jet in the USMC cleared to operate the laser-guided weapon. As we have explained in fact the weapon gives Harrier pilots, who usually fire unguided rockets or drop unguided 500 pound bombs to destroy enemy threats, a lighter, precision air-to-ground attack option. Noteworthy the AV-8B jump jets from VMA-311 tested the APKWS for the first time in the Indo-Asia-Pacific region on Jun. 9, 2017 when they carried out a live fire exercise with the weapon at the W-183 range training area, off Okinawa, Japan.